Pregnancy is an important phase in every woman’s life. During this period, your baby grows inside you and is completely dependent on your placenta for important functions like breathing, nourishment and elimination of waste. However, your newborn baby must adjust to the external environment once it comes into this world; but in certain cases, he/she is unable to adjust to the new environment and the changes it brings. This mostly happens when your baby is premature. Most premature babies, i.e. those having low body weight or if born sick, must be kept in the Neonatal Intensive Care Unit (NICU) till they become strong. Again babies from IVF pregnancy are often born preterm and must be kept in the special care unit till they become mature. So also multiple pregnancy results in small for date babies that need the support of the NICU for a while. So, if your baby is sick or premature and has been referred to the NICU, you need not panic. Almost 10 to 15% of the babies born every year are kept in the NICU. It is a special part of the hospital where a weak newborn baby is cared for by experts in the field. With technological advancement in neonatal care, there are special machines such as the incubator, warmer, ventilator, infusion pump and phototherapy, which are now being used to take care of premature babies. The most common machine in every NICU is the incubator. An incubator is an enclosed machine in which your baby is provided with a warm, controlled and protected environment similar to your womb. A preterm baby is usually kept in an incubator until it is mature enough to survive in the normal environment. Every NICU has a neonatologist who is responsible for the babies in this unit. Apart from him/her, there are several specially trained nurses who keep a constant watch on each and every infant in the unit. You, as the mother, are often allowed to help out in taking care of your young one. It has been seen that during pregnancy, if you have risky lifestyles and have been involved in drug abuse or smoking for instance, the chances of your baby being small for date and being born prematurely increase. Again, in cases of pregnant women with hypertension or diabetes, the chances are higher that your newborn baby may have some problems requiring support in the NICU. Even though IVF pregnancy is now a household term and a most common treatment for infertility, babies born through this method can require the care of a NICU. Studies have shown that babies born from IVF pregnancy are more likely to need intensive medical attention than those conceived normally. If your umbilical cord is wound up around your baby’s neck during birth, if there’s fetal distress your baby may need intensive care under expert supervision to adjust to the outside world. If your baby has aspirated during delivery, he/she would need to be supported for a while to breathe normally. Most preterm babies, i.e. those born before 37 weeks, need to be kept in the NICU for a few days or weeks. Again if your baby is born weak or has low body weight at birth, he will be kept under observation in this unit. In many cases, your newborn often develops apnea and breathing difficulty. 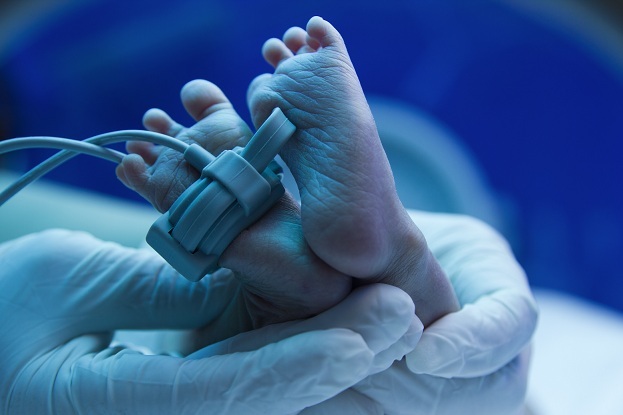 Babies who have birth defects many of which require surgery in the newborn period would need to be kept in the NICU for further tests, evaluation, observation and treatment. In case your baby requires the services of a NICU, it becomes imperative for you to seek professional help to choose the best neonatal care centre for your baby. Doing so can ensure your baby remains and healthy and grows normally, without any birth defects. ⟵How does diet affect one’s body?